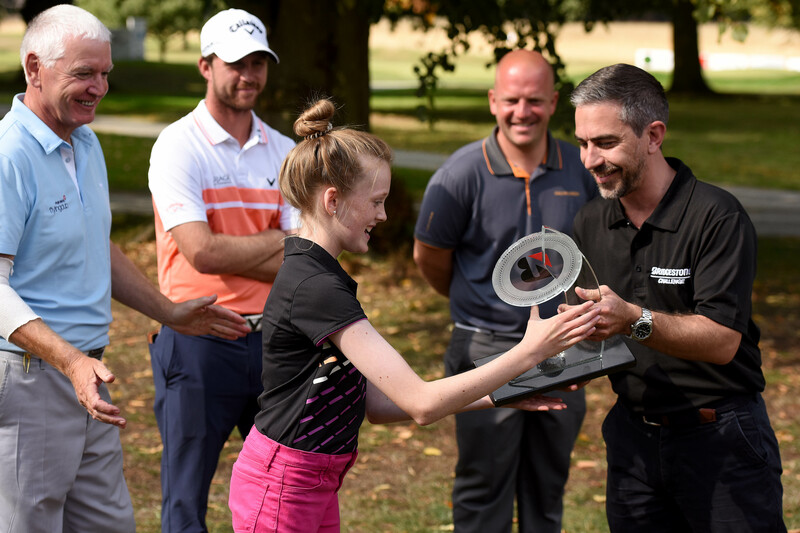 A 12-year-old golfer – who hit her first ball as a three-year-old – is now preparing for a round of a lifetime with a European Tour star, after beating thousands of amateur golfers across England to win the Bridgestone Chase Your Dream Trophy. The competition, now in its second year, was created by the world’s number one tyre and rubber company in an attempt to give something back to the ‘grassroots’ of the sport and to elevate Bridgestone’s range of premium tyre products with thousands of amateur players up and down England. 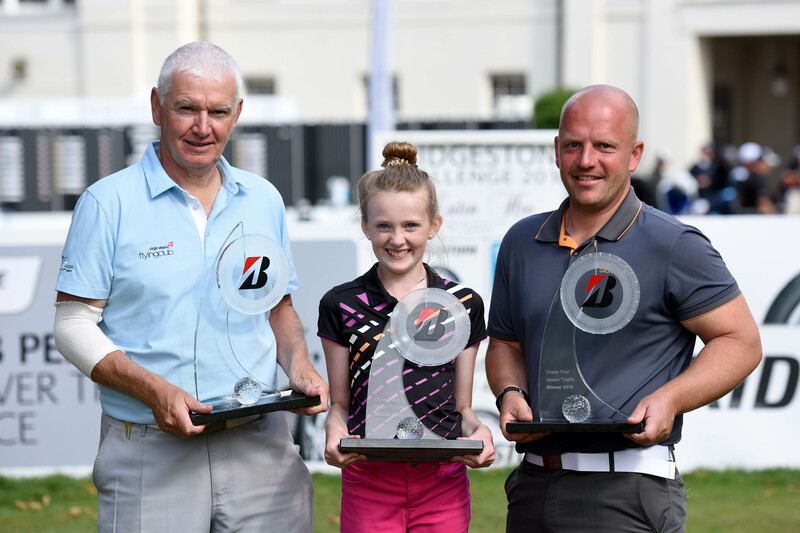 The Bridgestone Chase Your Dream Trophy, run in partnership with England Golf, was open to winners of 2017 club competitions and concluded at the pro-am of the Bridgestone Challenge at Luton Hoo, where the top nine men and female golfers overall converged to play in a mixed team format. 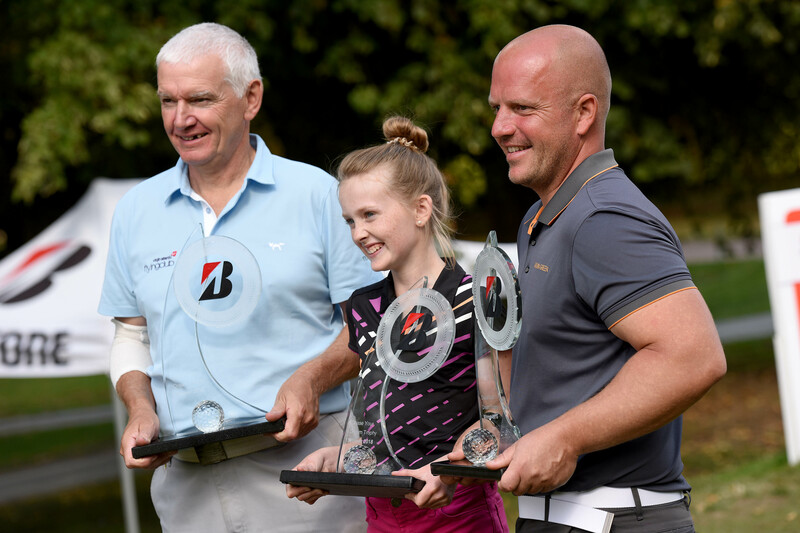 Isabelle Badger, from Stourbridge, won the final of the competition, run by England Golf, at the pro-am of the Bridgestone Challenge at Luton Hoo on September 5, following a number of qualification stages. She joined Spencer Burlingham and Martin Derrick in the triumphant team and they now go on to play in the pro-am of the Sky Sports British Masters at Walton Heath on 10 October. The Pedmore High School youngster, who was meant to be back in the classroom for the first day of the new term, was given special dispensation to play in the final of the Chase Your Dream Trophy and after putting on an exhibition of chipping and putting, she now has a huge trophy to take back to the next school assembly. The 13 handicapper said: “It feels amazing! My own dream is to become a professional golfer one day. I have lots of heroes in golf, so I can’t wait to meet some of them at the British Masters. Martin Derrick, aged 59, from Hove, put his 17 shots to good use, and looked back at the 17th hole as a turning point. He birdied it and the team’s professional Robin Sciot-Siegrist of France, eagled it. Spencer Burlingham, aged 34, ranks the success as the best of his life, having only picked up a set of clubs eight years ago. The trio can now look forward to a once-in-a-lifetime opportunity playing with a household name professional at the Sky Sports British Masters at Walton Heath in October. Now in its second year, the Chase Your Dream Trophy has continued to capture the imaginations of thousands of amateur golfers in clubs affiliated to England Golf, just as it did in its inaugural year 12 months ago. Bridgestone’s North Region Marketing Communications Manager Andy Mathias said: “Isabelle, Spencer and Martin should feel so proud of their achievement. They have prevailed over thousands of amateurs and their journey to this point has been a long one. They have had to overcome their own hurdles during a number of rounds no doubt, but to see them lifting the silverware at the end of it all was a great sight.